What is my responsibility as the pool owner? As the owner of a swimming pool, wading pool, hot tub or spa tub, you (and any pool service providers you hire) are responsible for complying with the Sewer By-law when draining your pool. What is the City of Winnipeg's responsibility? corrective measures (e.g., issuing By-law violation notices and orders, taking matters to court if needed). How should I drain my pool water to comply with the By-law? onto your lawn, ensuring that the water remains on the property until it evaporates or soaks into the ground. into a ditch or catch basin (storm drain). into a waterway (e.g., retention pond, creek, river). Why do I need a Wastewater Discharge Licence? The licence will outline conditions that will help protect our waterways from harmful pool chemicals (e.g., chlorine, bromine, algaecides, biocides, water conditioners). Is there a cost for the licence? Yes. There is an initial fee and an annual renewal fee. The licence is valid for five years. How should I dispose of the water from my salt water pool? hire a licensed wastewater hauler to remove the water. How should I drain my pool water onto my lawn? 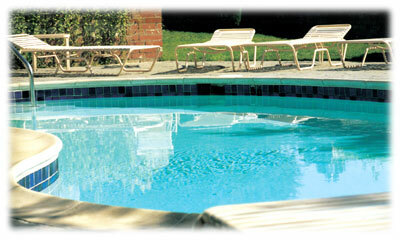 Before draining, let your pool sit for a week or longer without adding chemicals. This allows the chlorine in the water to break down to a less harmful level. Drain the water slowly so that it is absorbed and does not pond. If you have limited yard space, drain the water over time, allowing the area to dry before continuing. Ensure the water does not drain onto the street, lane, sidewalk or neighbouring properties. What should I do with the water collected on my pool cover when opening my pool for the season? Drain pool cover water onto your lawn. How should I drain backwash water from my pool filters? Where can I get more information or apply for a licence?